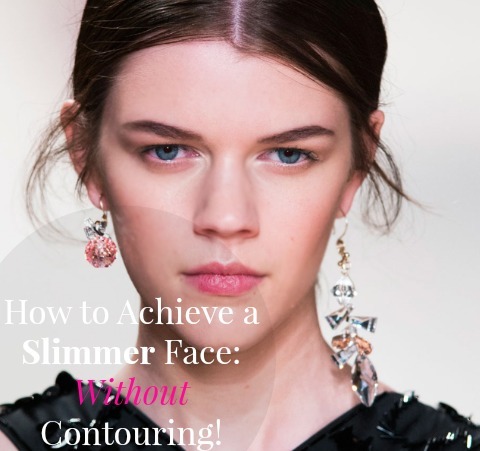 Today's post is a quick tip on helping to slim the face, without contouring! When we gain weight or are a bit swollen, the face is usually one of the first places we can notice the change, often becoming fuller in appearance. If you want to create a slimming effect to counteract the fullness, simply wear longer earrings! A longer earring will pull the eye downward, essentially slimming the entire face, as it creates the length. A shorter earring will cause the eye to move across the face, while causing it to appear fuller or bring more attention to the fullness. Easy, right?! I hope you found this post helpful and thanks so much for stopping by, dear friends, have a wonderful day!